A contemporary door option, offering a seamless connection between your Ewell home and garden. Our bi-fold doors offer brilliant levels of energy efficiency and superb security features making them the perfect choice for a savvy Surrey homeowner that wants to add value to their property as well as make sure it’s secure and safe. Reduce heat loss and save on your energy costs by investing in doors that add extra insulation to your home, creating a warm and happy environment for all of the family. When it comes to the security of your Epsom property, we don’t take any chances. With slim hinges and hidden fixings inside, bi-fold doors preserve the aesthetics of your home and make it impossible for the doors to be unscrewed or tampered with externally. All of our doors are Secured by Design accredited so you can trust the quality and strength of our bi-fold doors and be safe in the knowledge that your home is protected whether you are home or out and about. Although based in Epsom, Window Doctor operates throughout Surrey and the surrounding area. We install bi-fold doors to homes in Epsom, Banstead, Ewell, Ashtead, Cheam, Stoneleigh, Leatherhead, Tadworth, Chipstead, Oxshott, Sutton, Purley, Caterham, Wallington, Kingswood, Reigate, Redhill, Merstham, Fetcham, Bookham, Cobham, Weybridge, Esher and throughout Surrey. Our bi-fold doors are engineered and designed to be fully bespoke, so that they can integrate seamlessly with any property type and provide an exceptional focal point for all guests and visitors. With flexible and versatile design, bi-fold doors are an excellent choice. The standard bi-fold door is ideal for apertures up to four panels wide going up to a span of 7 panes wide for larger spaces. It consists of an exo-skeletal aluminium reinforcing system, which enables the bi-fold doors to be made with a larger amount of panes. We can provide uPVC bi-fold doors as well as aluminium bi-fold doors, depending on budget and specific requirements. We provide fair and competitive pricing for all of our new and returning customers, as well as the best quality products available. We provide bi-fold doors with ultra-slim sightlines giving your property in Epsom, Banstead, Leatherhead and throughout Surrey a modern and clean appearance. The nature of the bi-fold doors is that you can open your home up to nature and enjoy the extra natural light that it lets into your home. We use the Origin aluminium profile that has a wide range of opening configurations and colours so that you can update your bi-fold doors to look exactly as you’d like them to, in order to complement the exterior of your property as well as the interior. Our bi-fold doors are easy to operate and have a beautiful smooth glide functionality when you open and close them. They have inbuilt safety precautions for younger members of the family that mean trapped fingers can be avoided easily. Residential homes in Epsom are not the only type of property that can benefit from beautiful bi-fold doors. Your commercial premises in Surrey can be transformed by adding large bi-fold door panels which can be left open during the summer months to invite in natural ventilation and make your premises easy to access. During the winter months they can lock in warmth and continue to let in natural light. Adding bi-fold doors to your commercial premises allows you to benefit from the extra security they provide, as well as giving your business a whole new look. Opening up bi-fold doors at the front of your property can make your premises feel larger and more inviting. You can invite the outdoors in or connect an outdoor seating area with the indoor seating area, providing a level of cohesion. You won’t need to spend an extended amount of time maintaining your bi-fold doors. Unlike traditional timber you won’t need to treat them or repaint them yearly in order to keep them in tip top condition. Our 10-year guarantee is a testament to our faith in this. Our bi-fold doors can withstand the worst of the British weather, as well as invite the summer months inside. We have put our bi-fold doors under scrutiny to make sure they pass weatherproof tests and are able to provide protection no matter the weather. The rise in popularity of bi-fold doors can be seen all over the UK, with it fast-becoming a sought after home improvement option. You can select either uPVC or aluminium to create your bi-fold doors to enhance and accentuate your home in Epsom. Design your own bi-fold doors with our design tool below and you can receive your tailored bi-fold door price in moments. 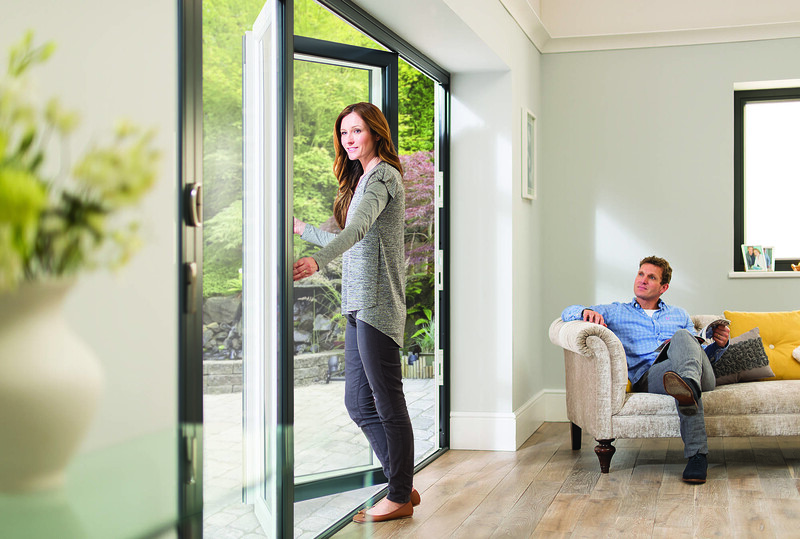 We can talk you through our bi-fold doors range to ensure you select the exact product for your home improvement needs. You can fill out our contact form on our website in order for us to get back in touch with you to discuss your requirements. Bi-fold doors may be a luxury and high end product, but that doesn’t mean it can’t be an affordable option. We can discuss your budget and advise on the best possible course of action in terms of price to give you an affordable bi-fold door quote.